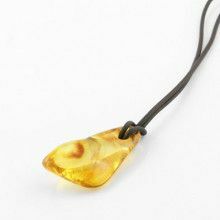 This Russian amber necklace is hand made. 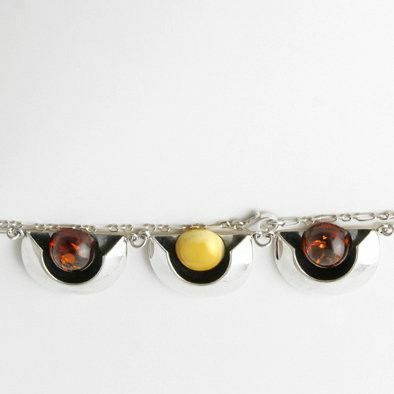 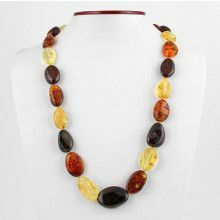 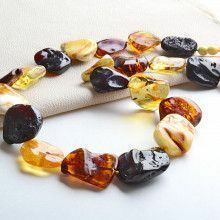 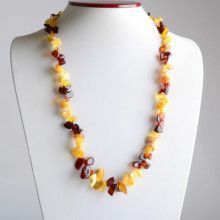 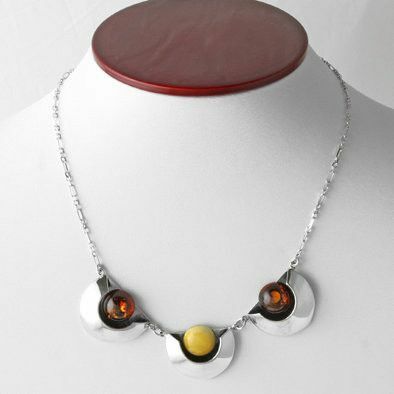 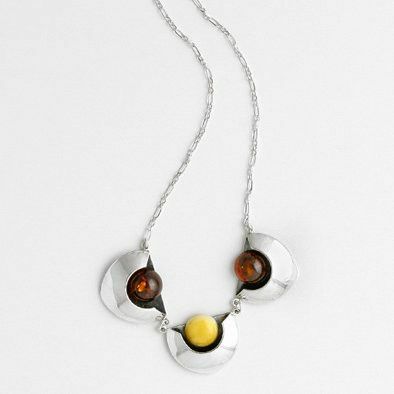 It is made from two honey colored amber stones and one butterscotch amber stone. 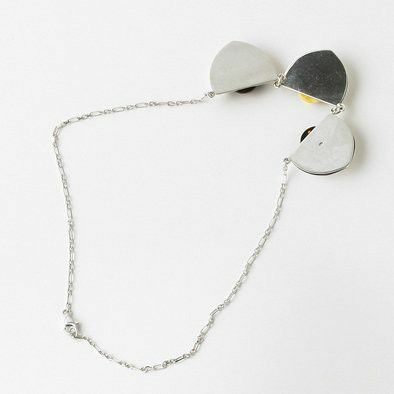 Each stone is set in its own sterling silver case that hangs on a free moving sterling silver links chain.